I discovered and bought this bad boy from Craigslist, in anticipation of this weekend’s upcoming Potrero Progressive Dinner. It was a decent price at $30 (even though I found out later that it was on clearance at $20 and then discontinued altogether at Williams Sonoma earlier this year). I tested it out last night, so as HLY put it, we don’t all “go home with a doggie bag of indigestion.” It does take more work than going to TJs and paying $0.99 for a pound of dry pasta, but the results made it worth it, particularly for a special occasion. 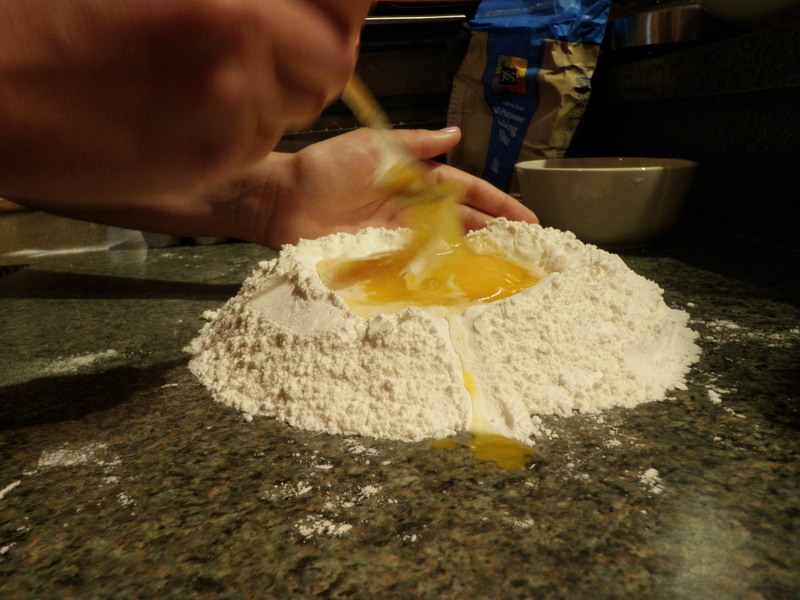 The dough is done when it is uniform and homogeneous, and there no lumps. Cover it with plastic wrap, and set aside for 20 minutes or so. Then, feed small batches of it into the pasta extruder. Set the pasta aside for about an hour (or more) before cooking, with plastic wrap over it. 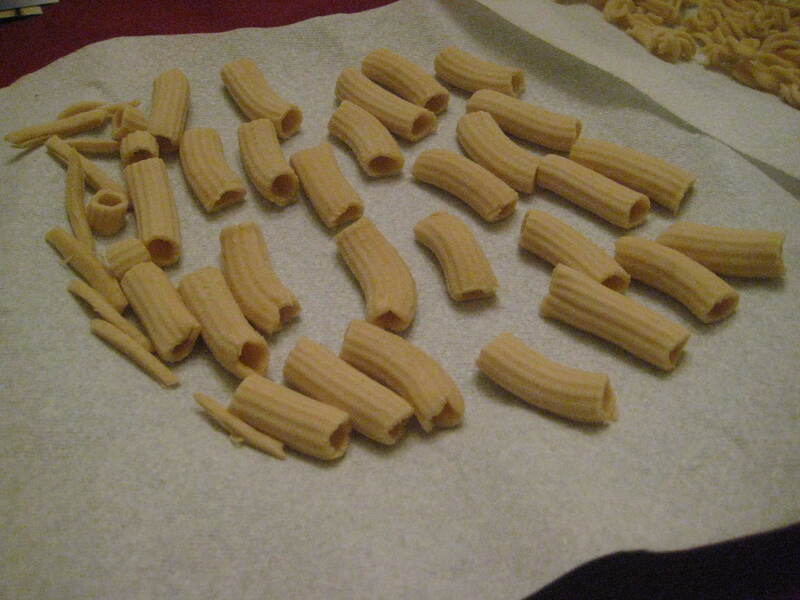 Note on cooking: fresh pasta cooks faster than dry pasta, about 5 minutes or so. This entry was posted in Italian, Recipes and tagged Fresh Pasta, Homemade Pasta, pasta, Pasta Extruder, Progressive Dinner, Rigatoni. Bookmark the permalink.